Sanjay leads Cognitive Business Operations (CBO) for TCS’ clients in Banking & Financial Services, and is currently based in Edison, NJ. He is an experienced industry professional with over 20 years of experience in Financial Services, including 10 years with Citigroup in Credit, Operations and Sales. Sanjay has led identification, remodeling and transformation of over 100 financial functions across Commercial, Retail and Investment banking, with client value realization of over $500 Mn. 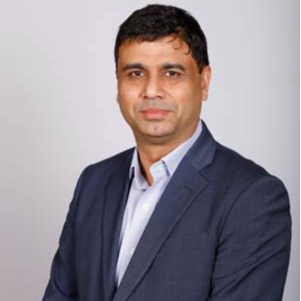 He has led numerous strategic outsourcing initiatives, thereby bringing in unique insights on collaborative models to maximize client business value. In his 20 plus years of professional career in the banking domain, Sanjay has held senior positions in Operations & Strategic Account Management roles and have worked in India, Canada and the USA. Sanjay holds a Masters’ Degree in Business Management, and a Bachelor degree in Engineering.